NOVO | National Geographic releases Nascent! 24 Oct National Geographic releases Nascent! 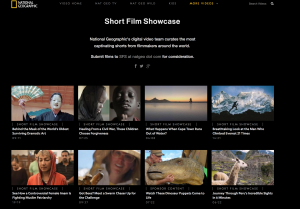 We are so thrilled that National Geographic is featuring our film Nascent in their Short Films Showcase! This is a film we remain so grateful to have been able to create and we are thrilled it is now being shared with a wider audience. Check it out on National Geographic here.